This post was written by LeMetric Beauty Ambassador, Victoria Van Devere! As a naturalista I’d like to help you with your journey into this new way of life! I personally have struggled with trying to do different styles or even figure out different things to do, especially in the beginning when my hair was extremely short. I started off back in 2011, when I cut all my hair off to become apart of the natural world! In March 2013 I got the itch to do something extreme (as always) so I got a relaxer, dyed my hair red, and got it cut into a cute style. I tried to do my own touch up relaxer on my roots and my hair started falling out because I over processed my hair. That moment I realized, I need to go back natural. In August 2014 I cut all my hair off (even shorter than the first time) and dyed it light brown, and rocked it until it grew long enough for protective styles: Marley twist, faux locs, and box braids. Once I became comfortable with the length of my hair, which wasn’t until March, I began trying different styles. I’d ask my best friend for ideas as well as check YouTube, Google, and Pinterest. 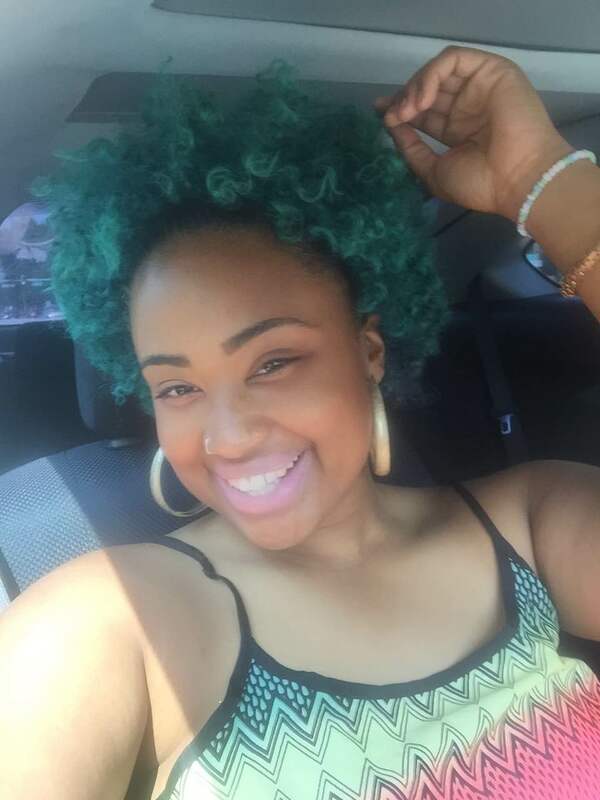 I have done twist outs, pin ups, braid outs, almost anything I thought would work! My favorite everyday style is the twist out; it gives my hair a nice curl and last me about 3 days. I would recommend the pin up to women in office or formal settings (interviews, weddings, dinner parties). French buns and/or half up with curls coming towards your face are two great styles. And my final specialty is the uni-braid! It’s 2 separate braids that you link together to make it look like one. 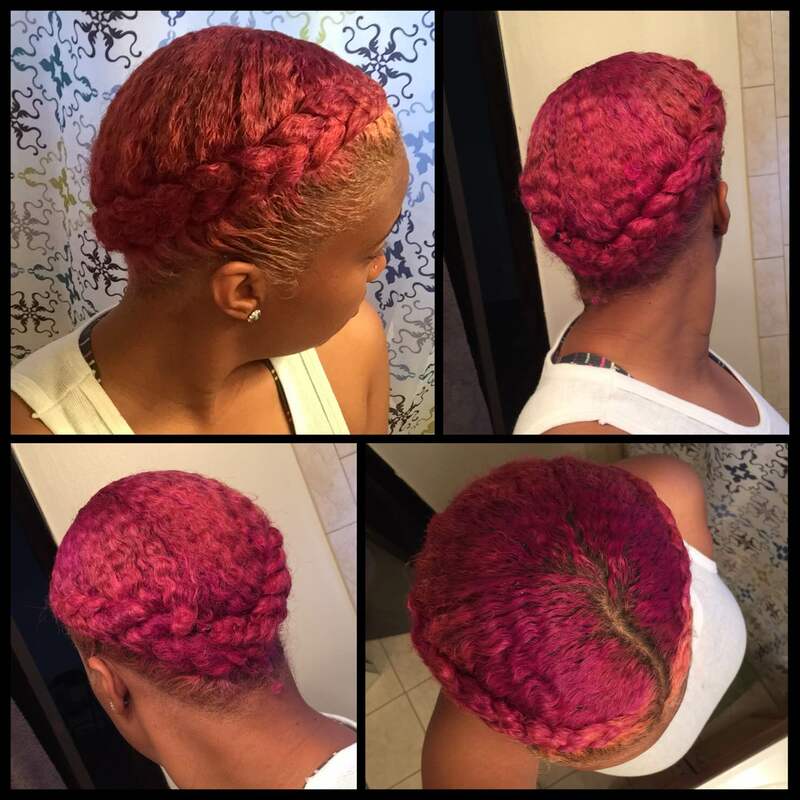 Continue reading to learn how I rock these styles! 2. I let my hair dry a little, not much, it’s always good to do them while your hair is wet. 3. I take a section of my hair, using my fingers to part, and I add my curl cream. 4. 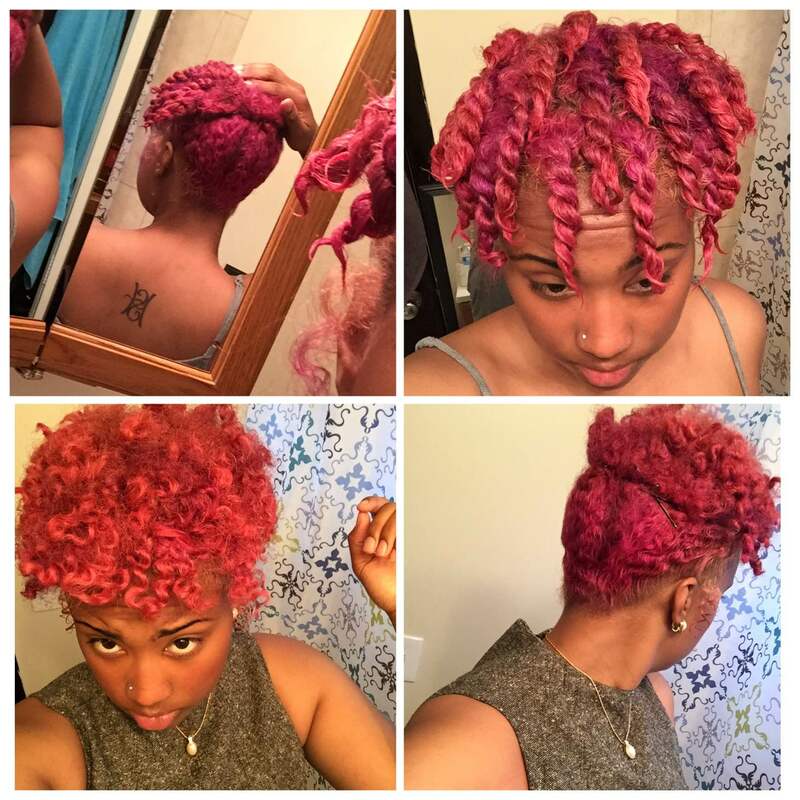 I two strand twist my hair, I try to use an even amount for each twist. 6. Use a pic or wide tooth comb to pull the hair at least one inch from the scalp so that the parts won’t be visible. Done! 1. Brush the back of your hair towards the front, add your strong hold gel and use a brush to make hair as flat as possible. 2. Pin the hair up, part the top in a circle, leaving a good amount out for you to two strand twist. 3. Put a scarf on the back while you two strand the front circular area you sectioned off. 4. 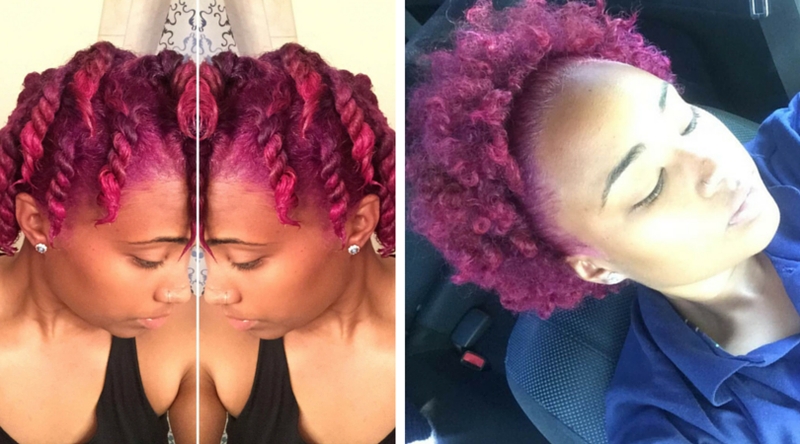 Use curl cream to two strand the twist in the front. Put a bonnet on before sleeping. 5. Untwist your hair, make sure it is fully dry, pull out your curls a bit and you’re ready to go! 1. Put a side part in your hair (you can also put it in the middle, wherever you prefer). 2. Use any type of strong hold styling gel and put a little on the edges and the middle to get it slicked down. 3. Use a hard brush to make sure the hair is flat in the back and sides before braiding. 4. Begin braiding, make sure it’s tight and braid all the way to the end. 6. After your braids are complete, add gel where needed to ensure your hair will be flat. 7. Add moose as well or whatever helps your hair stay flat! 8. Put a scarf on for as long as needed. 9. Use 2 bobby pins, pin the left end braid to the right side, do the same for the right side. Wear and go! All of these simple styles will have you looking and feeling fabulous! You can Google or YouTube these styles or find them on my Pinterest under the “My Hairstyles” board. Also be sure to check out LeMetric’s Hairstyles board for even more glam looks!